The Eugene Emeralds started out behind, their starter giving up five earned runs in this June 1987 game, while recording just a single out. Coming into that situation was Eugene reliever Brian McCormack. McCormack went on to record 3.2 innings of two-hit ball. It was long enough for his Emeralds to catch up and take the lead. It was enough for McCormack to earn the win, and praise from Eugene manager Rich Mathews, according to The Eugene Register-Guard. "I thought McCormack and (Luis) Mallea kept us in it," Matthews told The Register-Guard afterward. McCormack helped keep the Emeralds in it in his third season as a pro, his first since missing an entire season to surgery. McCormack, though, played just three more seasons, never getting the chance to keep a major league team in a contest. McCormack's pro career began in 1984, taken by the Royals in the 17th round of the draft, out of San Clemente High School in California. 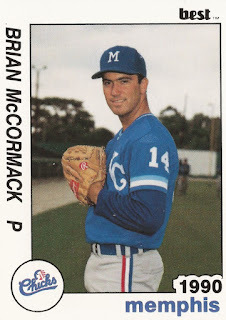 McCormack started with the Royals in 1985, in the rookie Gulf Coast League. There, he got into just four games, 3.2 innings of work. He then missed all of 1986 to injury, according to The Kansas City Star. McCormack then returned to the field in 1987 with Eugene. There, he got into 17 games in relief, posting a 3.53 ERA. McCormack moved up to single-A Appleton in 1988, also getting a five-game look at AA Memphis. Between them, McCormack got into 50 games, with 12 saves. His ERA also dipped to 2.34. McCormack spent all of 1989 in Florida, at single-A Baseball City. In 43 relief outings, McCormack posted a 3.20 ERA, saving another 12. One of those saves came in a late-April contest, with an inning of work. His seventh save came in late-May, striking out the side in the ninth. He then picked up a relief win in a July contest. 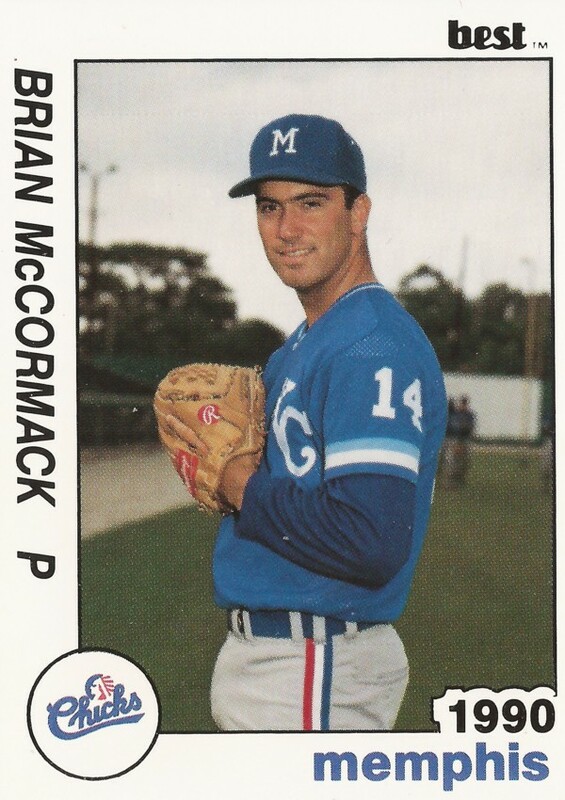 McCormack's final season as a pro came in 1990, at AA Memphis. In 28 outings, seven starts, McCormack's ERA hit 6.10, ending his career short of the majors.